If teachers have the resources necessary to teach, then the possibilities of facing challenges when providing instruction are greatly reduced. Dr. Reagan Flowers can provide teachers and professionals with the tools necessary if their respective organizations do not have the resources to do so. An immediate way to obtain such tools comes in the form of instructional books. Dr. Flowers created instructional books to help teachers educate students in STEM with an emphasis on communication. 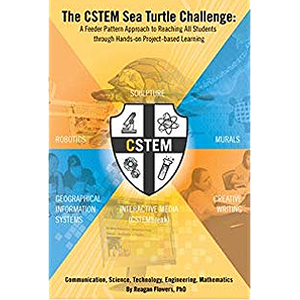 Although there are instructional books that focus on disciplines such as English, History, and other core subjects, there is a very limited number of instructional books that have an emphasis on STEM. Books that focus on STEM can help students feel inspired about their prospects in these fields. When it comes to subjects such as mathematics, chemistry, and physics, students can be intimidated by them. Historically speaking, students have had a difficult time retaining the knowledge that is being given to them by their instructors. Dr. Flowers can help teachers fill the gaps that are needed to fix the concerns that students face when learning about STEM. Her books cover a variety of topics that will aid teachers in the journey of instructing STEM disciplines. They include the discussion of PBL, otherwise known as Project-Based Learning. This learning strategy is key in helping students effectively understand STEM material. This way of learning is interactive, which is crucial in helping students retain information that is being presented. Dr. Flowers utilizes stories to help students become eager to learn about the world of STEM. She uses illustrations to tell the story of C-STEM pedagogy. 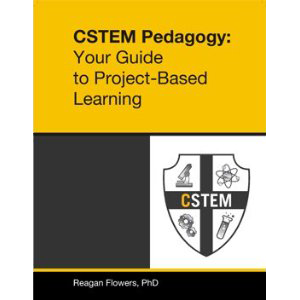 Her books are written to help educators and other professionals teach C-STEM pedagogy in a way that makes learners feel inspired, motivated, and energized to obtain the knowledge and skills necessary to triumph in STEM within the classroom. If you are an educator, parent, or organization that is searching for ways to incorporate an effective STEM curriculum focused on communication to help your students succeed in these disciplines, you can obtain Dr. Flowers’ instructional books that are filled with strategies, teaching methods, and resources necessary to help entities provide the most up-to-date and credible instruction.